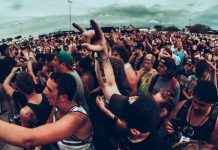 If you have been keeping up with AltPress on Snapchat and Instagram this weekend, you know that APTV's Nick Major, Ryan J. Downey, and Josh Bernstein are out filming for APTV with a ton of bands at Aftershock Festival in Sacramento. 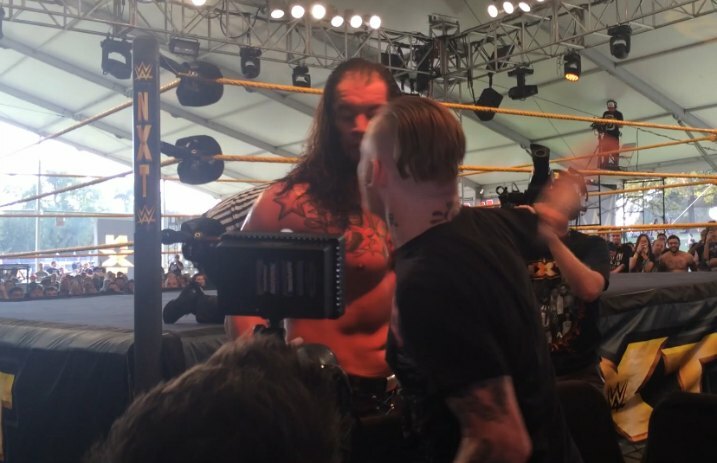 Yesterday, however, things turned ugly when WWE NXT's feud with Slipknot frontman Corey Taylor culminated in a physical altercation with wrestler Baron Corbin at the festival's NXT tent. 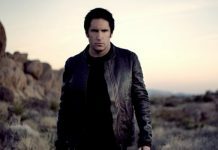 “Slipknot ain't nobody in my house,” Corbin instigated. Then, well, things escalated pretty quickly. Check out our exclusive ringside footage of the encounter below and keep an eye on APTV for more reporting on this showdown in the coming weeks!